Kalloni Salt Pans view as seen from the NE. 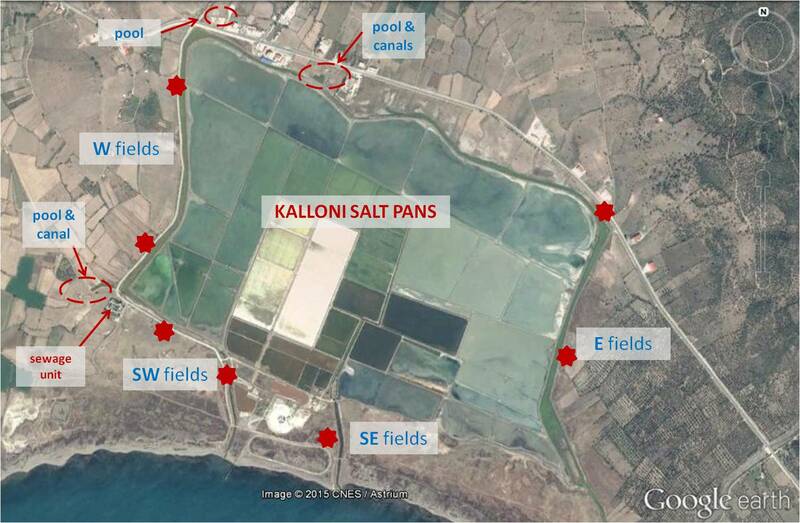 The Kalloni Salt Pans is the site where I birdwatch the most… Here is a detailed map of the sub-areas I use in my posts and also several good places to search for birds and finally specific points to stand and check the interior of the pans and the south fields (red stars). PLEASE do not visit the SE fileds beyond the canal/bridge as it is a crutial resting and breeding habitat for several bird species (e.g. Stone Curlew, Ruddy Shelduck etc).